Willow, also known as sallow or osier depending on the species, has been used as a practical resource by humans for thousands of years. It is a very flexible plant, and with more than 400 types growing across the northern hemisphere, can range from the fountain shaped trees of the weeping willow, to smaller shrubs. As you follow the wildlife trail around Sacrewell, you are taken to our own willow coppice, which is managed by Renny from The Green Backyard who uses it for sculpting and weaving. Coppicing is a traditional form of woodland management that promotes new growth and is great for wildlife. 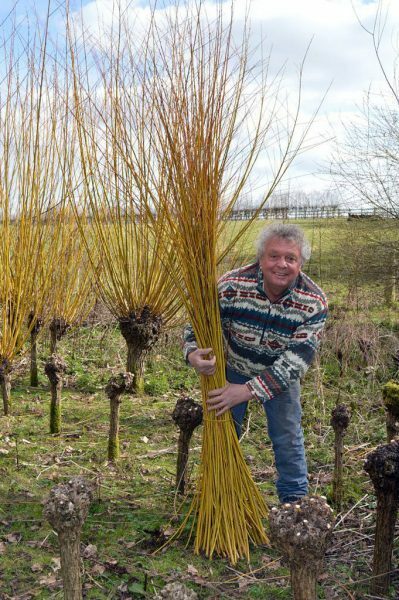 Normally it works on a seven year rotation, so that each part of a woodland is coppiced once every seven years, but willow grows much faster and is coppiced regularly. When willow is coppiced, none of it goes to waste. It is used to make handy items such as baskets and fishing nets, but can also be used to create sculptures. 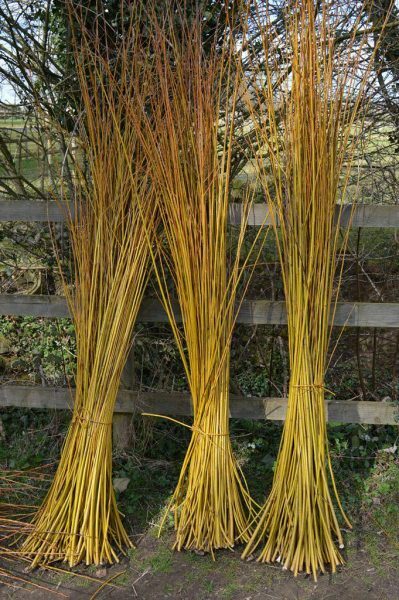 If you are interested in willow weaving, Renny runs free courses at The Green Backyard in Peterborough and you can find out more here. Or, if you’re interested in seeing him in action at Sacrewell, come along to our harvest festival on 26 and 27 September, where he’ll be making souvenirs.